Have you ever wondered how metal detectors work? In this article, discover how these machines find valuable coins, protect soldiers and make our airports safer (without a mathematical equation in sight). There's something wonderful about the prospect of finding buried treasure. It has an innate appeal, which is probably the reason why metal detecting has become such a popular hobby. If you're one of the millions of people who uses metal detectors to uncover hidden coins and other potentially valuable relics, you'll know exactly what I mean! Of course, metal detectors aren't just for fun. The technology has a variety of applications, including detecting mines in war zones and preventing people bringing dangerous objects onto planes. Despite being around for a long time, the details of how metal detectors find metal is something of a mystery to many people. It's actually relatively simple - and it all starts with the principle of electromagnetism. Who Invented the Metal Detector? How Deep Can Objects Be? What Can Detectors Be Used For? Sounds Fun, But Aren't They Expensive and Difficult to Use? I promised this would be a "plain English" guide to metal detectors, but it's important to understand a bit about the physics of why these machines work. Electromagnetism sounds intimidating, but it's just the combination of electricity and magnetism. We rely on electricity for almost every activity in our day. Whether we're surfing the net, watching TV, using a hair-dryer or cooking food, we all know how important electricity is to modern life. What some people don't realize is that we also rely on magnetism - just in a less obvious way. To create electricity, a generator spins a drum of copper wire through a magnetic field. This generates electricity inside the wire - the magnetic field has created electricity. The relationship also works in reverse, which is how electric motors work. To put this another way, electricity can create magnetism, and magnetism can make electricity. Exactly how a generator works is beyond the scope of this article (here's a useful guide if you want to learn more). But the key thing to remember is that magnetism and electricity are linked. Whenever you get one, you'll also find the other. And, if you always find two things together, it makes sense to talk about them as if they are one. Hence the name "electromagnetism." Most importantly for this article, it also explains why metal detectors work. So, we know that magnetic fields generate electric fields, and that the opposite is also true. We also know that changing electric and magnetic fields create changing fields of the other type. How does this apply to metal detectors though? 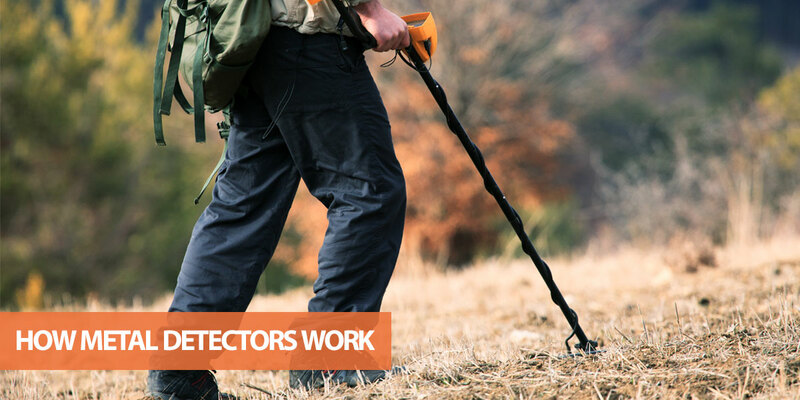 There are different types of metal detector, so they don't all work in the same way. We'll start with one of the most common detectors, known as Very Low Frequency (VLF). These types of detectors contain two coils: a transmitter coil and receiver coil. As the name suggests, the transmitter coil "transmits" a magnetic field around the detector. This is achieved by attaching a battery that passes an alternating electric current through the coil (remember, electricity generates magnetic fields). The "operating frequency" of a modern detector is how often the direction of the current is alternated. The great thing about magnetic fields is that they aren't affected by soil or dirt, so they pass right through. If the detector is close enough to a metal object, the constantly switching magnetic field acts on atoms within the metal, which causes the electrons to move. This effectively a creates a changing electric field, which sets up a changing magnetic field around the metal. In other words, the act of moving a metal detector near metal causes a new magnetic field to surround the metal. This is where the receiver coil comes in handy. As the receiver coil moves through the new magnetic field surrounding the metal, an electric current is generated in the coil. 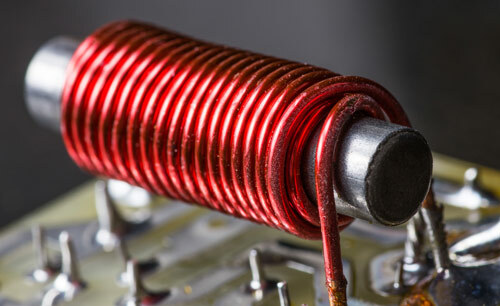 The coil is connected to a loudspeaker, resulting in a beep or click. On a technical note, the receiver wire must be arranged so that it isn't affected by the magnetic field of the transmitter coil. Failure to do so would mean any signal from the metal would be swamped by the larger and closer transmitter coil current. If you would like to learn more about how the circuit works, there are plenty of schematics online. A neat bonus is that the closer you are to the metal, the stronger the magnetic field and hence the larger the electric current. This is why a beep is louder when you are close to an object. VLF metal detectors can make an educated guess as to which metal has been detected (aluminum, gold, iron and do on). How do they achieve this though? The ability to distinguish different metals is due to a principle called phase shifting. Without getting too detailed, the frequency of the transmitter coil is different from that detected by the receiver coil. This is because each type of metal has a different electric resistance, which affects how easily electricity flows through it. By knowing the resistance of each material, and hence the phase shift, the detector can tell which type of metal is below the ground. This is called discrimination in metal detecting. As an additional benefit, many VLF detectors also allow you to filter metals you don't want to find. This is achieved by using a knob to set a certain phase shift threshold. If you want to detect a specific range, some VLF detectors will allow you to create notches (or phase shift ranges), or even multiple notches. Control Unit - This is where most of the important stuff is stored. The control unit contains the battery, speakers, digital processor and any controls the detector might have. Shaft - To make metal detecting more comfortable, consumer models have a long shaft so you can stand upright. Most shafts are adjustable. Search Head - The search head contains the coils (or a single coil depending on the type). It's usually oval in shape, and is sometimes known as the antenna, loop or search coil. Stabilizer - The stabilizer attaches to the top of the device and helps keep it steady as you sweep the antenna across the ground. It's not found on all models, but can make it easier to search in a controlled motion. Aside from these components, most metal detectors have a headphone jack and a display panel. You could argue that the origins of the metal detector date back to James Maxwell, who discovered the equations that are essential to their operation. It wasn't until the late 19th century that scientist began using these important theories to create machines for detecting metal though. The first "handheld" model was invented by a French man called Gustave Trouve in 1874, while Alexander Graham Bell invented a machine to detect a bullet lodged in President James Garfield a few years later. It wasn't until the 1920s that the development of metal detectors began to pickup pace though. The first patent for a metal detector was awarded to Gerhard Fischer in 1925, although it was improved by a variety of inventors over the years. Lieutenant Jozef Stanislaw Kosacki, for example, refined the design into a machine that was more practical - albeit considerably heavier than modern machines. Today, the top models have features such as a computerized design and integrated circuit technology to allow the user to fine-tune their detection parameters. There are different types of metal detector, and one of the most important for hobby detecting is the pulse induction (PI) detector. Unlike VLF detectors, these usually have just one coil that acts as both the transmitter and receiver. Short pulses of current are passed through the single wire, which creates a magnetic field. Once the pulse is switch of, the field collapses which causes a spike in electricity, resulting in another short-lived current. If the detector is near a metal item, the detector's sampling circuit picks up the opposite magnetic field. It can detect the metal as the second pulse (called the reflected pulse) takes longer to fade away. While pulse induction technology provides greater depth and decent sensitivity for gold, there are a few downsides. Most PI detectors aren't suitable for use in urban areas, as they can't identify or ignore iron "trash." This is because they have poor discrimination compared to VLF. They are better for hunting in rural locations though, and can provide a deeper search. They are also great for beaches and other environments that contains highly conductive material. There are also beat-frequency oscillator (BFO) metal detectors. These are the cheapest and least complex. They aren't as accurate as VLF or PI detectors, and don't provide the same amount of control. Aside from PI, BFO and VLF detectors, there are a variety of others for different industries. Many industrial detectors, for example, have a three coil design. This configuration allows the instruments to detect tiny pieces of metal. Type and Size of Object - The larger the object, the bigger the magnetic field and the deeper it can be detected. Metals that create stronger magnetic fields (such as iron) are also easier to detect. Type of Detector - Different types of detector can sense metals at various depths. Even amongst detectors of the same type, the technology and frequency used can affect the maximum detection depth. Interference - Anything that can conduct an electric current may interfere with the metal detectors readings. This includes cables, pipes and power lines. Soil Type - If the soil contains naturally conductive materials, it can make it more difficult to detect objects. Additionally, some metal objects cause the conductivity of the surrounding soil to increase over time. This is called a halo. Security Scanning - One of the most obvious uses of metal detectors is in airport security. All passengers walk through gantries that use both pulse and alternating current detectors, while handheld models can be used by staff to locate objects. Modern detectors don't just detect metal, they can also provide approximate sizes. Similar systems are used in buildings and event security. Industrial Detectors - Metal detectors are a vital tool in many industries, including food, plastics, mining, pharmaceutical and a variety of others. In the food industry, for example, detectors can alert staff to food that has been contaminated with metal from machinery. 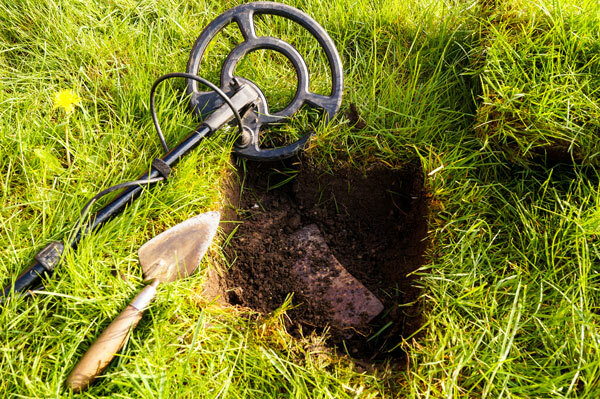 Archaeology - Archaeologists have been using metal detectors for over 50 years now, as it's great for finding things like firing lines at military sites. Many archaeologists don't like hobbyists, however, as once an artifact is found and dug up the context is lost without a more detailed survey. Hobbyists - Metal detector hobbyists seek a wide range of artifacts and objects. Some of the most common include coins, gold, historical objects and valuable modern items (such as necklaces). Metal detecting has grown into a popular hobby, with clubs around the world for learning and comparing finds. 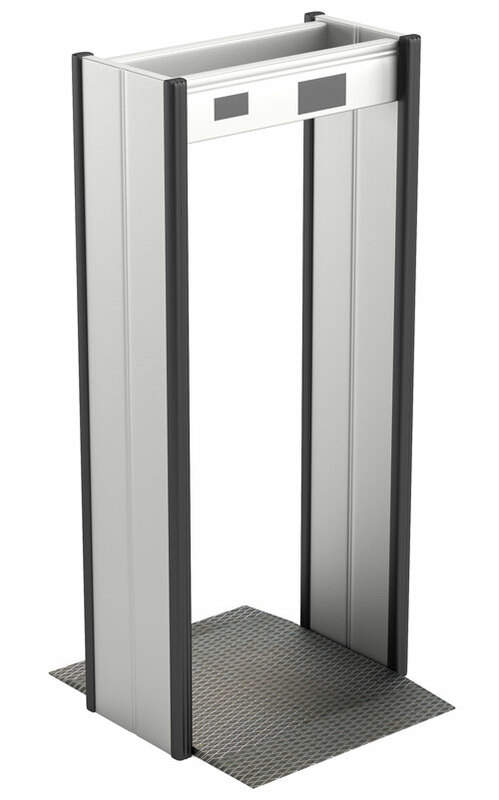 Metal detectors can look intimidating to the newcomer, but they don't need to be complicated - or even expensive. It's true that modern detectors are becoming increasingly advanced, but in many cases you can get started by only knowing the basics. Some of the best beginner detectors are relatively cheap, and allow you to hunt for artifacts, coins and other objects with a great chance of success. 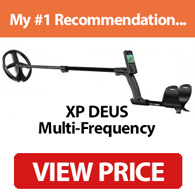 If you're interested in picking up the hobby, click the button below for my list of the best metal detectors or check out my list of beginner detectors here. Be warned though - metal detecting can be addictive!